Blue Mountain Woodworking is a family business with a wealth of experience in building and designing fine custom cabinetry for all areas of your home. We are committed to building something beautiful and also making it affordable. Our products are made and built to last the lifetime of your home with the highest quality all American materials that you have to see and feel to believe. You bring the dream, we will help you design and build it. Blue Mountain Woodworking’s 3300 square foot design showroom provides a very pleasing and relaxing environment to explore full size cabinetry displays with all the latest options in woods, materials, hardware, stains, paints and glazes. New construction or remodel, we will work with you from the beginning design concepts to completion of your project with patience and understanding of your individual needs. We welcome you to visit our showroom and find out for yourself how the design process for kitchens, bathrooms and your whole home can be more successful than you could imagine and deeply rewarding. The Greater Lehigh Valley Area, Northampton County, Lehigh County, Bucks County, Monroe County, Pike County, Wayne County. Plus Warren County, Hunterdon County, Sussex County, Somerset County, Union County and Morris County in New Jersey. Custom cabinets represent the design personality of the homeowner and are the focal point of any kitchen or bathroom. Custom cabinets and vanities provide unlimited options for designing and creating your space. Hand made by skilled woodworkers who take great pride in their work here in the U.S.A. All of our custom cabinetry is backed by our exclusive limited lifetime warranty. Homeowners who design with custom cabinetry enjoy their purchase every day. Read More. 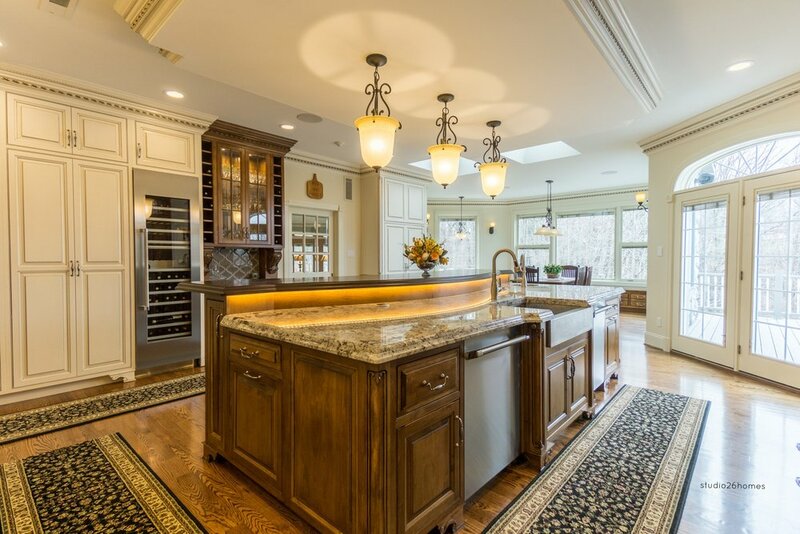 From traditional to contemporary, Blue Mountain Woodworking, Inc. has an extensive range custom cabinetry in the styles and options to suit your dream kitchen, bathroom or whole home design. The kitchen is a family’s daily gathering place and you should love the time you spend there. It is the heart of your home and the design qualities should reflect the personality of the homeowners. Bathrooms are important private spaces in your home, an oasis for the rituals of everyday life. The design should be functional, aesthetic and a place that a person can start and finish the day right. Our design talents are not limited to Kitchens and Bathrooms; our expertise covers all remodeling services from home theater, home offices all the way through laundry and mud rooms, etc. 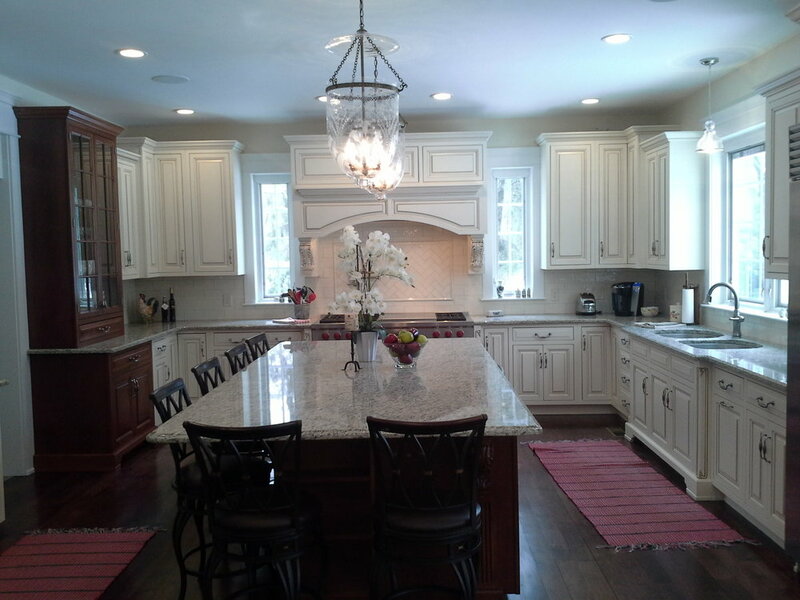 Blue Mountain Woodworking, Inc. is committed to provide our customers the highest quality fully finished line of handmade custom cabinets at the best value possible. Our exceptional craftsmanship plus our relentless commitment to detail along with our outstanding customer service will be our standard.